The men were reportedly sent to a Ministry of Intelligence detention facility on August 5, even though they had already been convicted of "enmity with God" and sentenced to death by judge Sayed Mohammad Bagher Mosavi in July. They endured 10 days of torture before being returned to Karoon Prison. The reasons for their transfer to the Ministry of Intelligence are unknown. Shaabani is critically ill and there are concerns that he will soon die if he does not receive medical attention. He is unconscious and dying having undergone severe torture at the hands of intelligence agents. The Ministry of Intelligence has refused the prison governor's request that he be sent to hospital. 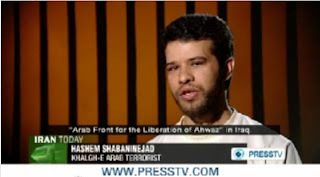 Before being sentenced to death, intelligence agents tortured Shaabani by pouring boiling water over him. Activists believe intelligence officials want to place the blame on the prison for Shaabani's death. So far this year, six Ahwazi Arabs have been murdered under torture in facilities run by the Ministry of Intelligence, none of whom had been charged let alone convicted of any crime. According to his family, Mohammad Ali Amouri - a UNHCR-registered refugee who was forcibly refouled from Iraq - has been tortured since he was put in detention. Hadi Rashidi was hospitalized after his arrest, apparently as a result of torture or other ill-treatment, and is said to be in poor health. The recent torture has left him with broken bones. Before his death sentence, Sayed Jaber Alboshoka had lost 10 kg in weight and Sayed Mokhtar Alboshoka has experienced depression and memory loss as a result of torture or other ill-treatment.